Hello guys. Do anyone here know why im not able to connect with my own server although I do all the steps from the thinger.io website ? 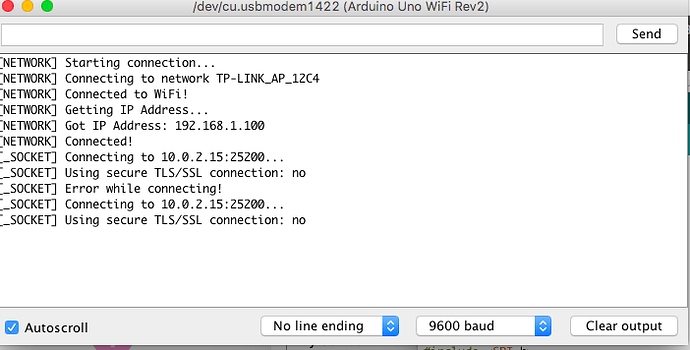 I see that your Arduino gets an IP address from a different prefix than your thinger server has. how can i setup my network ? how can i setup my network? 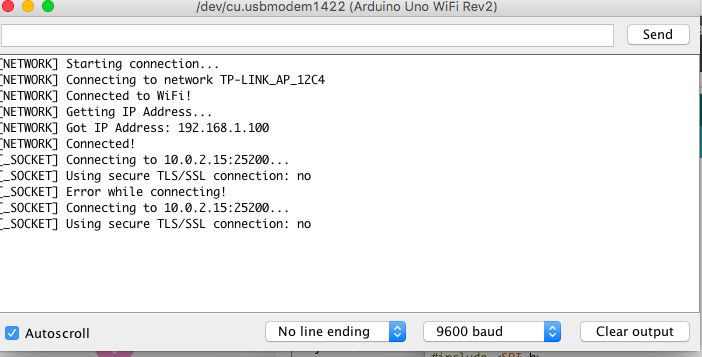 Just that your Arduino device gets the IP 192.168.1.100 from your TP-Link AP. But where is your thinger server connected? Is it in front of your AP? Can you access your thinger server with a mobile device connected to your TP-Link AP? Can’t really help with no details from your side. Well then you have a network problem between your TP-Link AP and your thinger server. I assume your 10 network is your local LAN…and how is your AP connected? Is the WAN port of the AP connected to your 10 LAN?